The 2011 Tribeca Film Festival opening night announcement has been the buzz of the city for the past few weeks, with lots of questions circling about how New Yorkers can get a seat at the free outdoor screening of Cameron Crowe’s documentary, The Union. Set to premiere at 8:15 pm on Wednesday, April 20, 2011, The Union chronicles the making of the 2010 album of the same name, a collaboration between pop icon Elton John and legendary rock ‘n’ roll keyboardist Leon Russell. Crowe is, of course, known for making classic music narratives, including Singles (1992) and Almost Famous (2000), and fans can’t wait to see what he does in the documentary format with Elton and Leon. We’ve been working hard on a plan for the opening night event, which will be co-sponsored by AOL, supported by Goldman Sachs, and hosted by Brookfield Properties, the owner of the World Financial Center, the location of the outdoor festivities. And special thanks to ESPN. • A TFF wristband is required to be seated at the event. • Wristbands will be distributed to the public on a first-come, first-served basis on April 20 at 4:00 pm. • There will be a limit of two wristbands per person. • When you get your wristband, you will also get a list of details about how, when, and where to find your seat. • The screening will begin at 8:15 pm on April 20. • Details are still being firmed up, but programming at the Plaza may begin at approximately 7:30. • Note: Venue access and capacity are at the discretion of the NYPD. 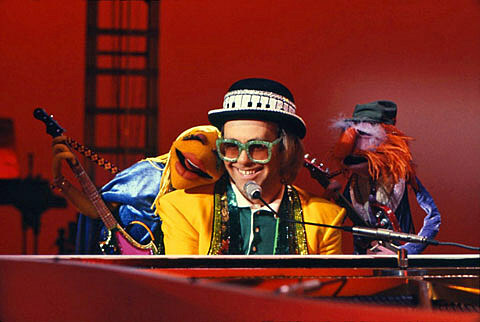 Elton John announced today that he’ll be playing at Ceasars in Vegas for at last another three years. Tickets for the first 16 shows go on sale April 25th.